The DW-NEXUS16-3000 is a 3TB network video recorder which has been designed and manufactured by Digital Watchdog for optimal performance and reliability. The DW-NEXUS16-3000 is equipped with the latest features which includes removable HDD bays, remote configuration and operation, HDD field upgrades, as well as automatic backup to external and internal devices. 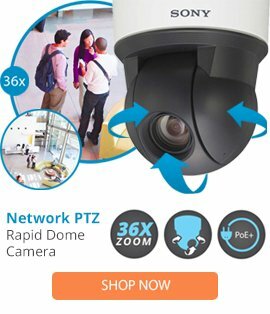 This NVR also comes with 16 channels of IP camera recording, 2-way audio, DVS which enables for reviewing of the recorded material for any tampering as well as an E-mailing service, and support for most major brands of IP cameras, video servers, and megapixel cameras. The DW-NEXUS16-3000 NVR also comes with a compact and lightweight design and is completed with Hardware watchdog, and DVR health check which allows for continued performance of the system.